The car buying process can be a fun, but stressful process. Here at Renfrew Chrysler, it is our goal to make the process as stress-free as possible. On our lot, we have an excellent selection of Chrysler models that you will love for years to come. 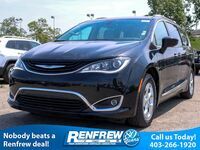 Whether you are looking for a car or minivan, we have a Chrysler for you. We can also help you secure a great financing deal that is both realistic and manageable! We want you to drive off our lot in a vehicle of your dreams. Our finance center will work with you to make the whole process as stress-free as possible, continue reading below to find out how! 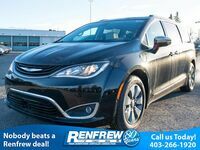 Here at Renfrew Chrysler, we have a great selection of Chrysler Vehicles for you to browse. Our Chrysler 200, 300 and Pacifica models will fit into any lifestyle. Inside and out, all Chrysler vehicles are loaded with features that you will enjoy and appreciate! You can view our inventory both on our website or by stopping by our lot in Calgary, AB. Once you have a vehicle in mind that you would like to try out, schedule a test drive online today or give us a call. We will find you a Chrysler vehicle you will love for years to come! No matter what type of credit situation you find yourself in, our credit specialists in the Finance Center at Renfrew Chrysler can help craft the perfect finance package that works for you. We make it easy to get approved, you can head to our website and full out the pre-approval form! Here at Renfrew Chrysler, our team of financial experts have experience with a wide range of financial institutions that will help provide financing for all credit situations. Our number one priority at Renfrew Chrysler is to get you into a Chrysler vehicle you love! If you have any questions regarding financing options, contact our sales team here at Renfrew Chrysler! Interested in a Chrysler ?